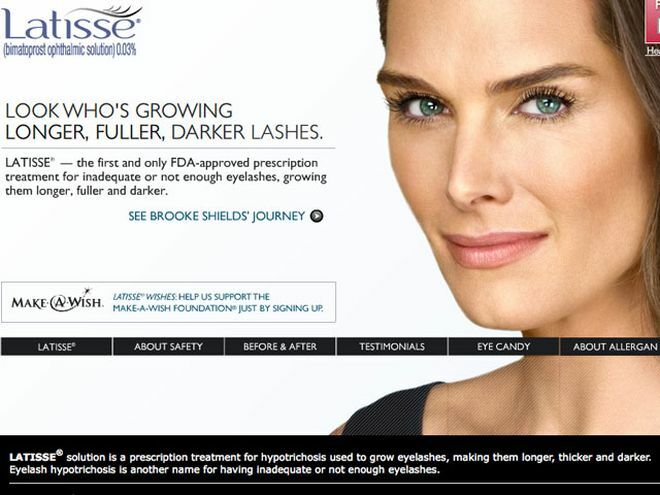 By now, you've probably seen the Latisse commercial enough times to easily recite Brooke Shields's possible-side-effects monologue. The FDA, however, feels that the safety information that appears on the prescription eyelash-enhancer's corresponding website isn't enough to adequately educate consumers. Last week, the FDA's Division of Drug Marketing, Advertising, and Communications (DDMAC) issued a letter to Allergan, the pharmaceutical company behind Latisse, citing the "stark contrast" between latisse.com's efficacy statistics and risk information. At the time of the letter's release, the organization declared that the warning display "fails to present risk information with a prominence and readability reasonably comparable with the presentation of information relating to the effectiveness of the drug." 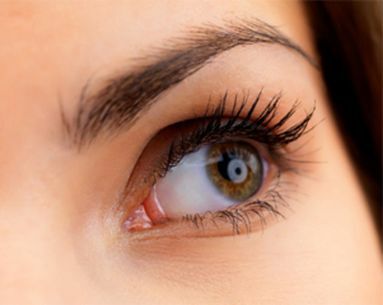 Latisse, which contains a prostaglandin (fatty acid derivative) called bimatoprost to grow longer and darker eyelashes, can cause hair growth outside the intended treatment area and bacterial contamination-two risks that the FDA says are omitted or minimized on the site. Additionally, the FDA has accused Allergan of downplaying the potential for infection and increased iris pigment, as well as providing misleading information about allergic reactions. Allergan is expected to respond to the FDA complaints by September 24. Have you tried Latisse? Were you completely familiar with the risks before using it? Have the results been worth the possible side effects? Tell us by leaving a comment below.